The Taiwanese company BenQ, known for making various PC and IT products, has started the sales of the 27-inch professional-grade BL2710PT monitor. The new product is perfect for professionals, designers and artists and offers an AHVA panel, 2560 x 1400 pixel resolution, a 16:9 aspect ratio and a thin chassis. The BL2710PT measures 709 x 484 x 241 mm and offers 4 ms of response time, a static contrast ratio of 1000:1, a dynamic contrast ratio of 12 000 000:1, 100 per cent sRGB coverage, brightness of 350 cd/m2 and 178-degree viewing angles. The new BenQ monitor comes with a number of innovative technologies too. The monitor can adjust the screen brightness dynamically depending on the ambient light thanks to the Eye-Protect Sensor. The Smart Reminder technology reminds the user every 20/40/60/100 minutes to take a break and allow his/her eyes to rest. Finally the Eco sensor switches the monitor into standby mode when the user leaves his/her place. The BenQ BL2710PT meets all TCO 6.0, EPEAT Silver and Energy Star 5.2 specifications and offers DVI, DisplayPort, HDMI, D-Sub, USB 2.0 and USB 3.0 ports, 3.5-mm audio jacks and two 3W built-in speakers. The BL2710PT can also be tilted from –5 to +20 degrees and rotated. The height of the monitor can be adjusted while the display can be used in portrait and landscape modes. 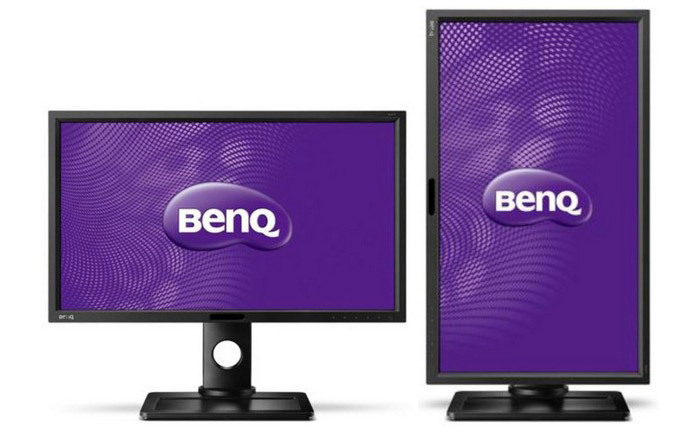 The new BenQ monitor is available now for USD 749.99.